To access T-Mobile's 700 MHz A block spectrum (marketed as "Extended range LTE-700 MHz") device must support LTE band 12. Starting from 2016 all phones, hotspot devices and Android tablets released and sold by T-Mobile support band 12. For the historical list of devices released in 2014 - 2016 visit this page. Phones that support T-Mobile Wi-Fi calling have next to them. Even though the phones above have been certified with T-Mobile, Wi-Fi calling is an optional feature for unlocked phones. If Wi-Fi calling is not supported by the phone you like and you are on a postpaid plan you can get a 4G LTE Cellspot that makes possible to place 3G and VoLTE calls via your Wi-Fi connection. Phones that support band 71 (600 MHz) LTE are marked with . To learn more about 600 MHz coverage and roll out visit the 600 MHz page. Some phones in the list above have not been verified to support VoLTE but are still included thanks to the track record of supporting T-Mobile VoLTE. The following phones may support VoLTE on T-Mobile network however the manufacturers have not made it clear. Do you own one of the phones below and have a T-Mobile SIM card? Help us find out the status of VoLTE support: post in /r/tmobile a screenshot showing LTE in the status bar while on a call using a phone below. Also please post model number shown in Settings > About. Huawei Mate 9 MHA-L09. Model MHA-L29 has been confirmed to support T-Mobile VoLTE. Other LTE band 12 phones listed below do not support VoLTE. Due to lack of VoLTE support you won't be able to place and receive calls including 911 calls in some buildings and some outdoor areas where 2G GSM and 3G HSPA+ signal (marketed by T-Mobile as "4G") is too weak or non-existent while LTE band 12 is available. 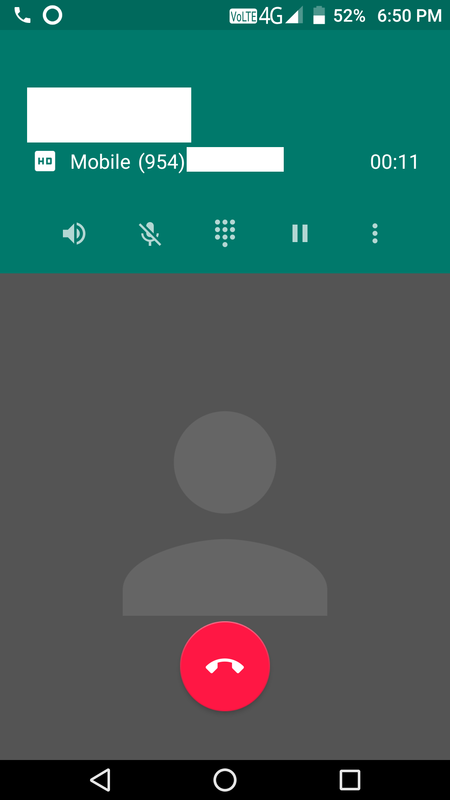 You will still have data connection so you can receive and place non-emergency calls via Google Hangouts app (using Google Voice number) or via T-Mobile Digits (duplicate or virtual number). To place an emergency call you will have to either go outdoors where 2G or 3G signal is available or disable LTE to make your phone roam on another GSM network. Sony all Xperia phones released before Xperia XZ1 Compact (Aug 2017). Phones released after that may support VoLTE but check the list above for verified models. Some carriers (AT&T, Sprint and US Cellular) sell phones that claim to support band 12 however in reality their phones may not have band 12 enabled. Due to this fact and other various issues with carrier-branded phones this section will only list phones that are confirmed to support band 12. If you confirm please make an announcement post in /r/tmobile (mention /u/sgteq in the comments to send me a notification). Also note that devices sold by carriers are typically SIM-locked (except Verizon devices). Check the unlocking policy with the carrier. Few of the carrier branded US phones support VoLTE except on the network that sold them so the impaired calling warning applies to all such phones. The first list below confirms only that LTE band 12 data works. Sprint Samsung Note 5 SM-N920P - confirmation. AT&T Samsung Galaxy S7 SM-G930A - confirmation. Wi-Fi calling confirmed not working. See an alternative solution. US Cellular LG V30+ US998 - VoLTE and Wi-Fi calling confirmed. AT&T Samsung Note 5 SM-N920A - VoLTE works but not out of the box. Requires to set LTE/GSM Auto mode in *#BAND* menu. Verizon, AT&T, Sprint Samsung Galaxy S8 and S8+ with December 2017 software update - VoLTE and Wi-Fi calling confirmed for Verizon model. Verizon, AT&T, Sprint Samsung Galaxy Note 8 with June 2018 software update - confirmed for Verizon model. Due to the huge number of phone models worldwide this site does not track devices sold outside of the US. To check band 12 support simply check phone specifications. Note that some sellers and manufacturers use outdated frequency notation (700/850/etc). There are seven LTE bands in the 700-800 MHz range so listing 700 MHz as a supported frequency is incredibly ambiguous. Use reliable sources of phone network specifications that list band numbers. Virtually all phones released outside of the US do not support VoLTE on T-Mobile network so the impaired calling warning applies to all such phones. If you learn about an international phone that supports T-Mobile VoLTE please make an announcement post in /r/tmobile (mention /u/sgteq in the comments to send me a notification). Moto G5 XT1671 - despite the sale page claiming it's "Fully compatible" with T-Mobile it does not support VoLTE according to customers who purchased it. Moto X (2014) Pure Edition (XT1095): specs. iPhone 6 and 6 Plus: supported bands. iPad Air 2 and iPad mini 3: supported bands. ASUS Zenfone 2 (all models): supported bands. Blackberry Classic for T-Mobile and all other models. Moto X Play European model XT1562: specs. iPad Pro except for 9.7" model: supported bands. iPad Mini 4: supported bands. Honor 5X: band 12 disabled while on T-Mobile network; considering VoLTE support in the future. ASUS Zenfone 3: supported bands. See the info about US Deluxe model above. ASUS Zenfone Zoom: supported bands. Moto E 4G LTE (2nd Gen, 2014) XT1527 was released with band 12 but after a few months Motorola disabled band 12 with 5.1 update. Moto G (3rd Gen, 2015) model XT1540 was initially listed with band 12 support but Motorola removed the band a few days later. See this article for more details. In January 2016 Alcatel removed band 12 from the specifications of Alcatel Idol 3 and released a software update that disabled band 12 in all Idol 3 phones. Alcatel support provided a statement to one of customers regarding the update. Contact Alcatel to request compensation.